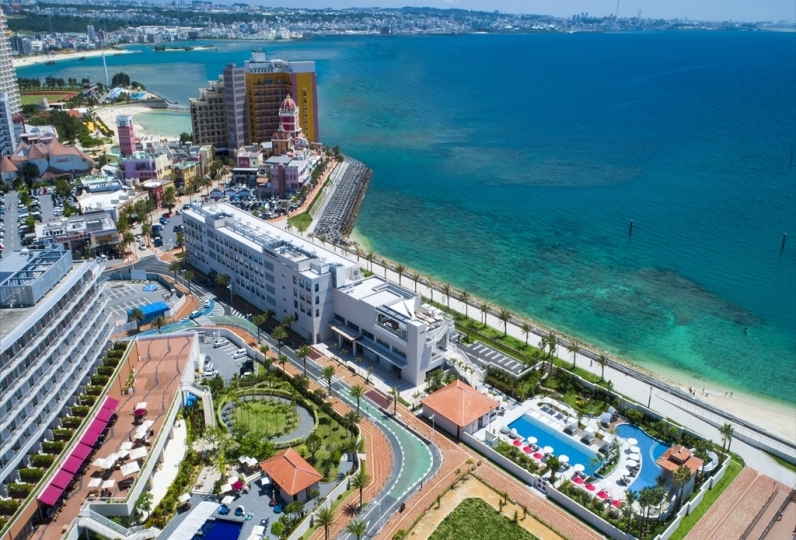 The Okinawa resort town, Chatan. 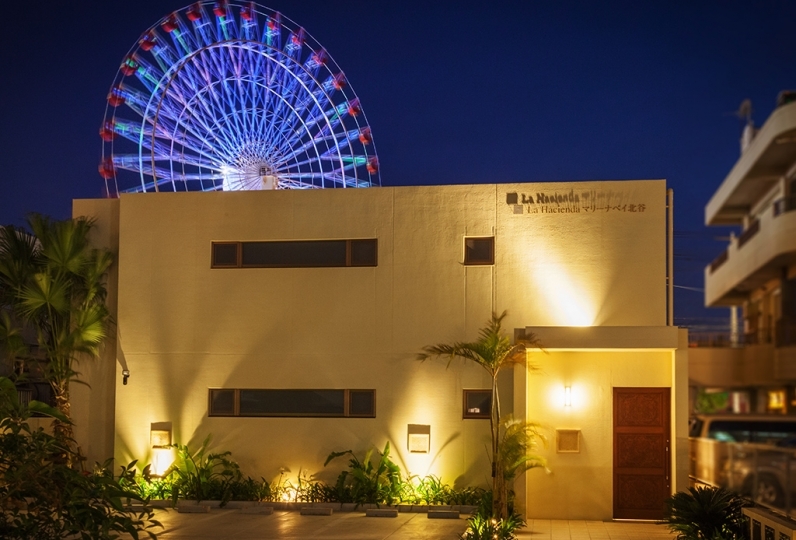 Why not stay and enjoy the "fun" of Chatan at La'gent Hotel Okinawa Chatan that incorporates the theme of American beach? Guest rooms are prepared with variety. They are pop designs that make one enjoy by just watching. We hope one is able to enjoy a special time with family and friends. 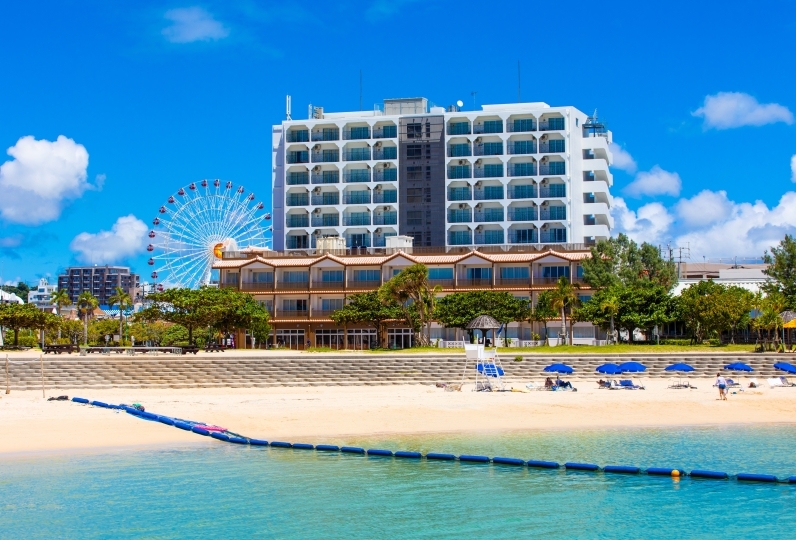 Mihama American Village and Sunset Beach are within walking distance. In this place where you can find shopping, marine and gourmet, we hope one enjoys a holiday filled with memories. There was a 2 year old child and a 7 month old child and I stayed in a family queen room. The children seemed to have a good time. Although it was interior that the child was pleased with, I felt that at the bedside bedside, there was a reading light and a USB port on the bunk bed, respectively, and it was able to charge the smartphone and it was functionally fulfilling, too. Tuk-tuk to American Village was also fun. The breakfast was also delicious, it was good that there was a menu unique to Okinawa and it was fulfilling. 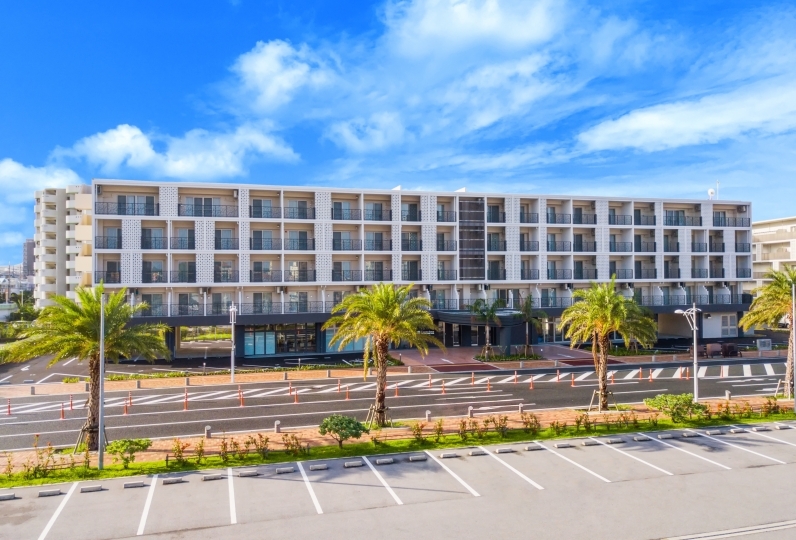 I felt that we were offering an environment that both adults and children were not satisfied with the luxury hotel, and it was the best in COSPA. The second stay is still a pleasant stay, the service staff is friendly, the environment is comfortable, and you will live in Okinawa! Anyway the location is good. It is convenient to go anywhere. The room is compact, clean, clean. I was delighted that I got an ice cream at check-in (lol) But I am sorry that there was no lotion related to amenity. There are various kinds, but there is no skin care system at all. But I think that this location, this room, breakfast is very good with this amount. 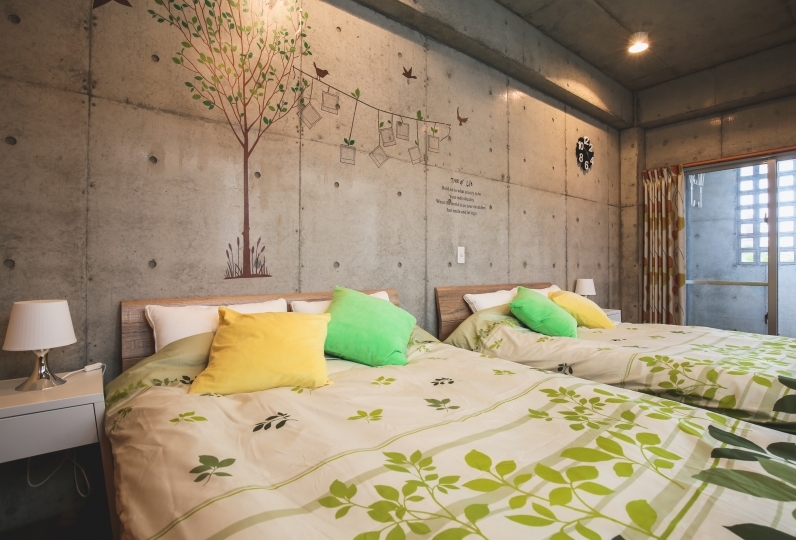 ◇Children of 0 - 5 years old (preschool) can co-sleep and stay free of charge. ◇We have a diving shop. Please contact us by phone for more information. ◇Children above elementary school age will be charged the same price with adults, so please include them under "number of people". About 66 minutes by limousine bus ride to "A Area". 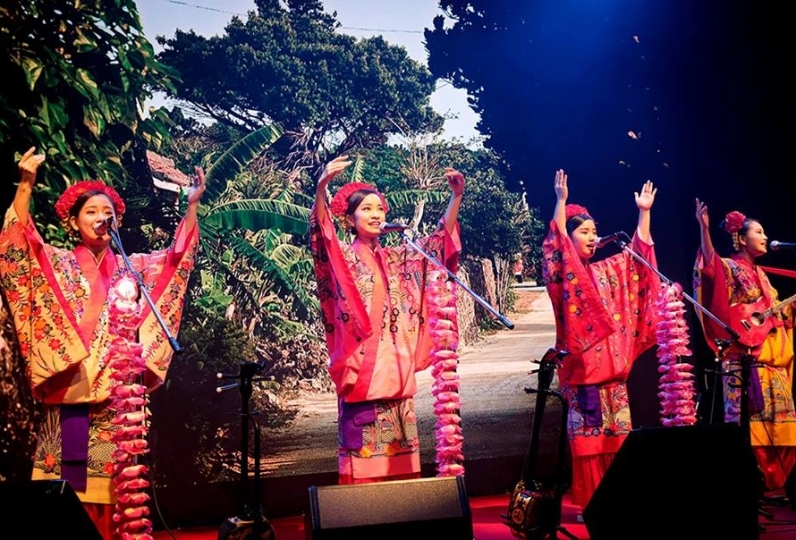 Alight at "Hilton Okinawa Chatan Resort". La'gent Hotel Okinawa Chatan is about 5 minutes on foot from there. About 60 minutes ride by Nago West Airport Line (No. 20 or 120). Alight at the bus stop "Kuwae" and walk for about 15 minutes.